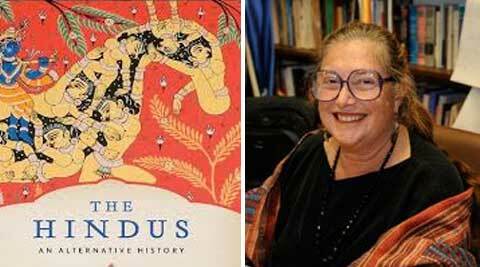 All copies of Chicago Indologist Wendy Doniger’s seminal work to be trashed in 6 months in India. Penguin Books India has caved in rather than defend its author Wendy Doniger, philologist and University of Chicago professor, for her book ‘The Hindus: An Alternative History’. As per a court-backed settlement with a Delhi-based Hindutva group, it has promised to withdraw all copies in India and pulp them at its own expense within six months. Doniger has long been a hate object for Hindutva defenders. Her mixing of religion, sexuality and textual traditions, and her playful writing style, have made her scholarship hugely popular and attracted a chorus of criticism, even the occasional hurled egg. On Monday, Batra and Gaurav Shrinagesh, CEO of Penguin Random House India, submitted a joint application to Additional District Judge Balwant Rai Bansal requesting him to record their settlement and allow the plaintiffs to withdraw the case. Their request was accepted by the judge, court sources confirmed on Tuesday. Penguin has declared it doesn’t mean to hurt any religious sentiments and promised not to publish or distribute the work any more. In return, Batra and five others agreed to withdraw all legal action instituted against the defendants. A Penguin India spokesperson said that the company had no comment to make. The book won multiple awards, including the Ramnath Goenka Award for the best non-fiction book of 2009-10. Penguin’s surrender follows the 2010 decision by Oxford University Press to stop publication of James Laine’s biography of Shivaji, a book that enraged Maratha chauvinists. “We are appalled that Penguin Books India, the publisher of Hinduism by Wendy Doniger, a leading Indologist at the University of Chicago, will not appeal a lower court order…It is even more appalling that the Indian legal system permits lawsuits to suppress ideas as a result of anyone’s ‘hurt feelings’, let alone hurt feelings based on utterly spurious, even absurd, claims”, said a statement by scholars including Sheldon Pollock, Partha Chatterjee, Upinder Singh, Mukul Kesavan, Nayanjot Lahiri and others. Kumkum Roy, professor of ancient Indian history at JNU, who has written a critical review of ‘The Hindus’ for its occasional moments of essentialising and flippancy, takes pains to point out that it was “no riskier than other publishing ventures”. She stressed that Doniger’s credentials were beyond question and that her book should prompt academic critiques, revisions, discussions and debate, not this peremptory silencing. Says Homi Bhabha, director of the Harvard Humanities Centre: “The right to interpretation is what is continually being challenged.” When confronted with a work of art or literature or scholarship, the questions are always “is it true or not true”, rather than contending with the reading itself. Doniger herself has dwelled on how her book is a narrative quilt of religion and social history, as conveyed by the word “itihasa” – not so much what happened, but what people said happened. Unfortunately, that is not an argument her publishers chose to deploy. But after news of the settlement leaked on the document-sharing site Scribd, digital copies of ‘The Hindus’ have been pirated and downloaded in plenty. The book, published in 2009, prompted a legal notice from the plaintiffs in 2010 alleging that the contents of the book constituted five separate offences under the criminal code. The notice asked the author and the publishers to tender an unconditional apology and withdraw the book or risk facing action on charges of provoking riots, promoting enmity between different groups, deliberately insulting religion or religious beliefs and public mischief under IPC. The notice was followed up with two separate criminal complaints registered at the Hauz Khas police station in 2010 and 2013. A separate civil suit was also instituted against the parties in 2011. “Though notice was sent to all the three parties, the author, Penguin USA and Penguin India, the proceedings were mostly conducte ex-parte in the court,” said Monika Arora, the lawyer representing Batra. The civil suit was instituted in March 19, 2011, and was transferred to another court in 2012. The matter was pending before ADJ Bansal and was yet to commence trial before the parties agreed to settle the matter. “We were planning to file a separate criminal complaint on charges of defamation. However, the party approached us for a settlement and the matter was settled satisfactorily,” Arora said. “I have won the battle but am yet to win the war….we are pursuing legal action against several other authors and publishers who have taken it upon themselves to distort Hindu religion,” Batra said.